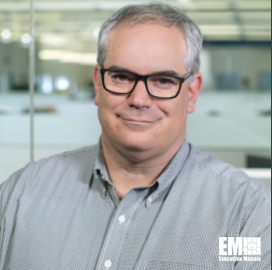 David Adams, a 20-year defense industry veteran and a certified public accountant, has joined Endeavor Robotics as chief financial officer at the Chelmsford, Mass.-based unmanned ground vehicle manufacturer. He will report directly to Endeavor CEO Sean Bielat and oversee the company’s financial activities that cover planning and analysis functions, the company said Wednesday. Adams previously held a similar position at Tribalco and the services and solutions group of QinetiQ North America. His industry career also includes time as vice president of finance at Science Applications International Corp. (NYSE: SAIC) and TechnologyNet, where he also concurrently served as a corporate treasurer. Endeavor has supported a U.S. Army robotics program since late 2017 under a potential $158 million contract and is vying for a separate $400 million contract from the service branch.